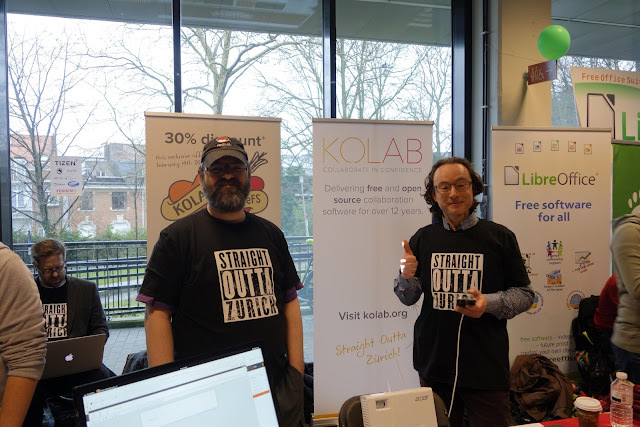 After rocking SCALE, FOSDEM was next and a great event. Killing, too - two days with about 8000 people, it was insane. 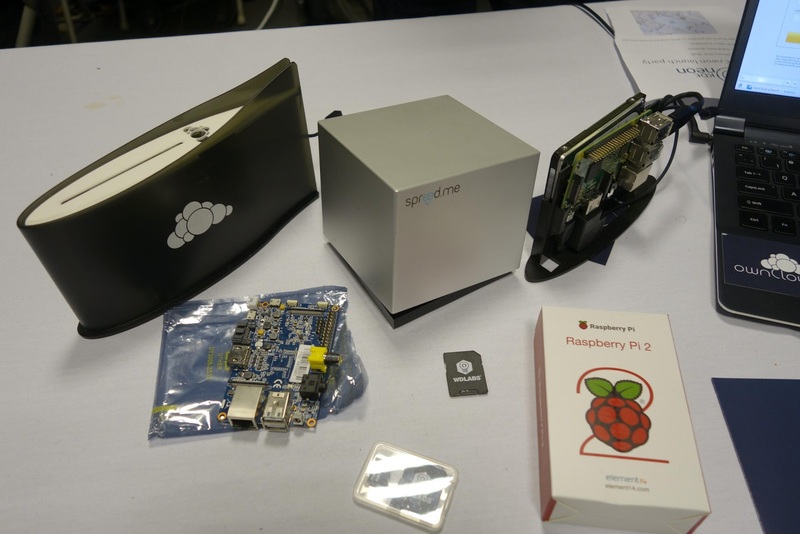 Lots of positive people again, loads of stuff we handed out so we ran out on Sunday morning - and cool devices at the ownCloud booth. 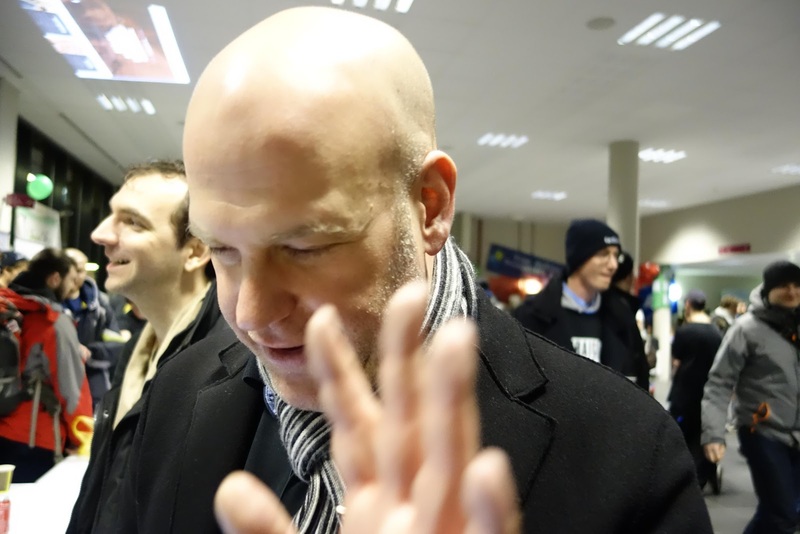 We had quite a team at the booth, with Frank Karlitschek, Philippe Hemmel, Jan-C Borghardt, Lukas Reschke and myself. 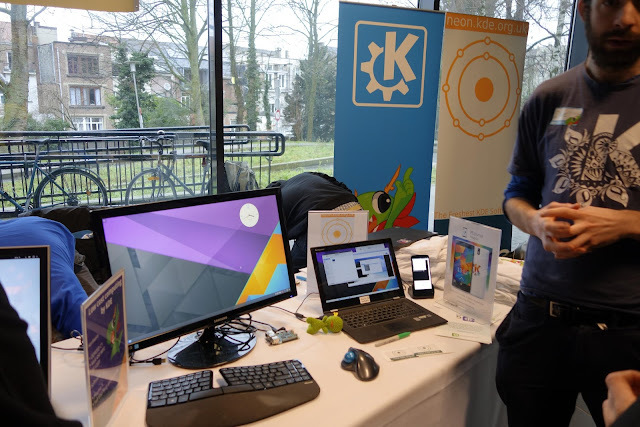 Lukas visited his first FOSDEM and even though he started to complain a bit on Sunday about having had to many social interactions, he enjoyed it. 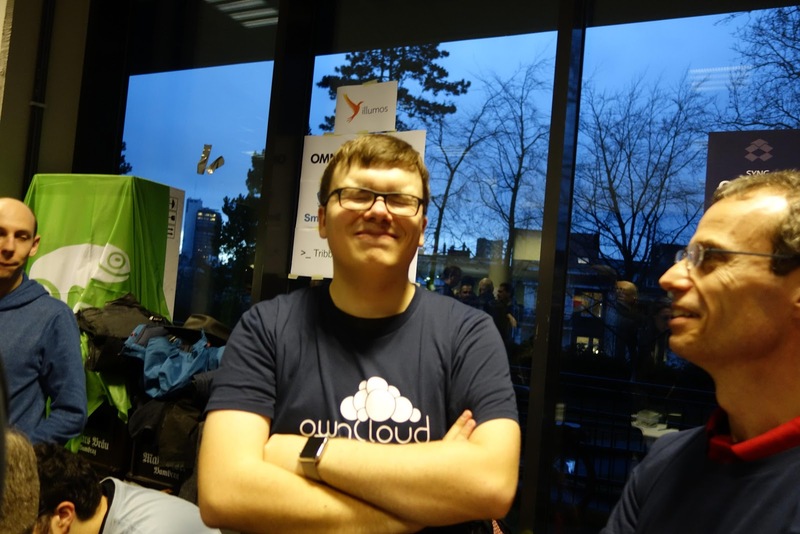 Philippe was at his first ownCloud booth but has helped out at booths before so that went entirely smooth and Jan - well, he's so popular, people were nice to me a few times thinking I was Jan. I had to disappoint them, Jan was often to be found in the Design devroom where he gave a talk about how we do design at ownCloud (see also our earlier blog about 6 ownCloud User Interaction Design Principles). Unfortunately, I hadn't brought enough stickers and flyers, we ran out in the morning of Sunday already, as Jan couldn't help but tell me over and over again. Yes, I brought over twice as much as last year but I guess I didn't factor in the growth in popularity of ownCloud... I'll double up again next year. Maybe triple. 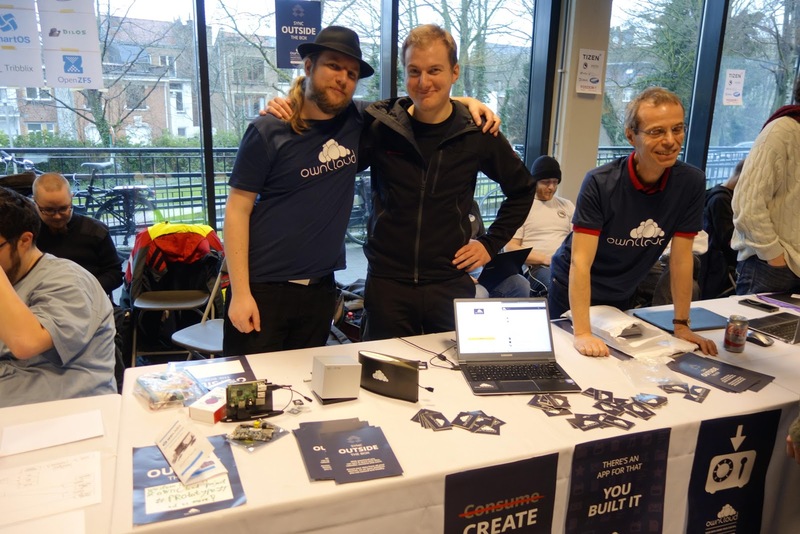 It was great to talk to people about ownCloud, the devices, give them stickers and, in rare cases, explain what ownCloud is. Most people who walked by the booth already used ownCloud (yeah, techie crowd!) or are planning to, just one out of 10 has not heard of it. In general, my biggest regret at FOSDEM is that there are still people walking by whom we didn't manage to talk to. Perhaps more of those don't know the awesome that is ownCloud and are put off by the busyness at our booth - at many times, there was a row of 3-4 people thick in front of the booth and three of us were each talking to several people at once. Did I mention it was insanely busy? I did have some time to walk around and meet people at other booths, like the KDE, openSUSE and Kolab booths close by, as well as the FSFE stand. And I will promise myself, again, that I'll walk past all booths next year. Next year... Looking forward to it already! 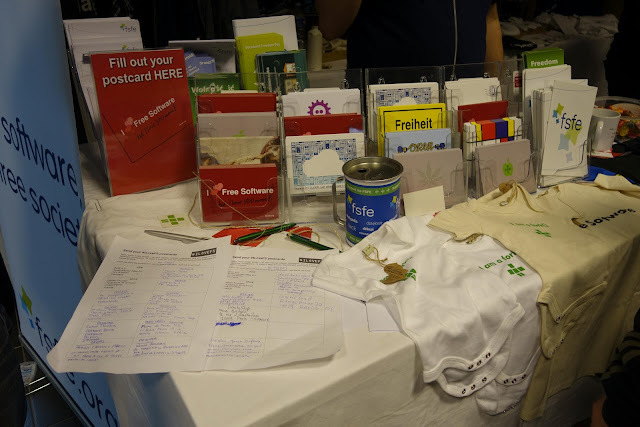 FSFE let you send postcards to your favorite projects! A really nice initiative. KDE showing their 'convergence'. The had Plasma Desktop running on an oDroid C1, quite smooth, and a mobile phone running Plasma Mobile! And very nice name stickers, too. 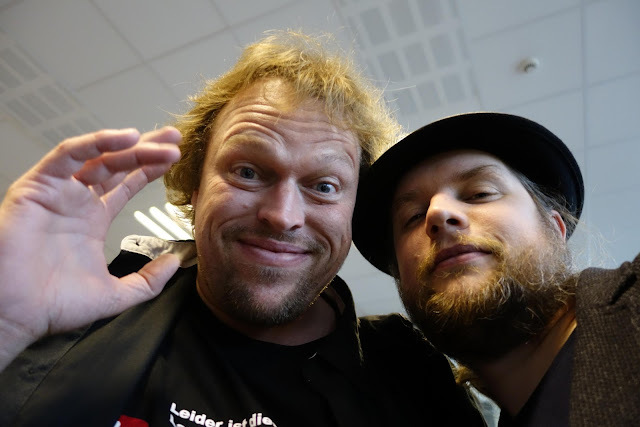 Selfie with Markus Feilner - now at openSUSE. Their booth was close to ours, good to see so many old friends there again, including a strong Greek delegation! Why use ZIP instead of TAR?